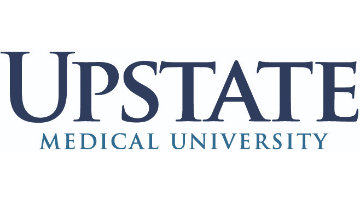 SUNY Upstate Medical University College of Medicine seeks to recruit a nationally recognized scholar, with the academic appointment of Professor with Tenure, to lead its Department of Neuroscience and Physiology. The Department has a history of research excellence in drug addiction, neural circuitry, and sensory physiology, and currently has ten full-time tenured/tenure-track faculty conducting exciting research in neurodevelopment, neural stem cells, brain oncology, visual signal transduction, and psychiatric neuroscience. The Department is the administrative home to the MS- and PhD-conferring inter-departmental Neuroscience Graduate Program, which consists of ~30 labs where students carry out their thesis. All neuro-related Departments, including Neuroscience and Physiology, and numerous state-of-the-art imaging (two-photon, super-resolution, deep brain stimulation, etc. ), genomics, whole-genome sequencing, and behavioral phenotyping core facilities, are housed in the recently constructed 150,000 square feet Neuroscience Research Building (NRB). The successful candidate must have a PhD, MD, or MD/PhD, or equivalent and an exceptional record of extramural grant support in neuroscience, including substantial current funding (at least one and preferably multiple NIH R01s), an active research program with a high national and international visibility, evidence of being collegial, collaborative, and having the experience or potential to lead an academic Department. We particularly welcome those with a track record of leadership, helping other faculty members, having high ethical standards, and being, and committed to the teaching mission in addition to research. We are open to those with interests in any area of neuroscience, but a background in one of the following areas would be especially welcome: addiction, electrophysiology, neural degeneration, vision neuroscience, molecular psychiatry, molecular and cellular neuroscience, and developmental neuroscience. The Chair will lead and direct all programmatic, research and educational development within the Department. The Chair is responsible for the recruitment, retention, and development of Department faculty, and for providing active mentoring, educational opportunities and professional development for all faculty within the Department. Our goal, which we expect the Chair to embrace, is to make our Neuroscience Department become a catalyst and focal point that is instrumental in integrating and strengthening through collaborations, secondary appointments, joint recruitments, and training our neuroscience portfolio that is currently dispersed across ten departments. The institution’s vision for the Department of Neuroscience is to have it grow into a nationally-leading research and training program. Neuroscience is one four key areas and strategic focus of the University. The new Chair will be the leader and steward of this process of attaining national recognition as an innovative center of excellence in neuroscience, with regional, statewide and national impact. The Chair will strengthen the current research programs, expand to establish a critical mass of excellence, and grow a portfolio of externally funded research programs within the full spectrum of basic and translational neuroscience, from molecules to neural circuits to behaviors. Experience in obtaining, growing and effectively managing a portfolio of NIH research grants and philanthropic research support is highly desirable. Please submit confidential CV and cover letter with the application online at http://www.upstate.edu/hr/jobs to job #052627. SUNY Upstate Medical University is an affirmative action, equal opportunity employer committed to inclusive excellence through diversity. Upstate does not discriminate on the basis of any protected category. At SUNY Upstate Medical University, we strive to promote a professional environment that encourages varied perspectives from faculty members with diverse life experiences. Respect for diversity is one of our core values. We are committed to recruiting and supporting a vibrant community of outstanding faculty, staff, and students. We actively seek applications from women and members of underrepresented groups to contribute to the diversity of our university community in support of our teaching, research and clinical missions.